What incoming trends could push automakers to invest great sums or pinch pennies in the months ahead? In more ways than one, the automotive industry is undergoing a transformation. It won't happen all at once, but 2017 will be a big year nonetheless, especially when it comes to spending. What incoming trends could push automakers to invest great sums or pinch pennies in the months ahead? In early 2016, McKinsey put out an in-depth analysis on where the auto industry is headed over the next 10 to 15 years. The mobility solutions phenomenon was among the company's top defining and disruptive trends. Why? Because, as the report outlines, carsharing and e-hailing will soon take their toll on vehicle unit sales. Fewer and fewer young people pursue driver's licenses and mobile technology titans like Uber, Lyft and Zipcar amass more and more members, thus signaling a probable decline in sales. Now, carmakers are already fast at work devising methods for counteracting this impending slide by offering a wide array of innovative onboard technology that those who do buy cars will pay top dollar for. However, the industry today cannot revel in its recent successes, but must rather send its profits directly toward capital investments that secure its financial future. What will the driver of tomorrow need? Will carshare companies become a more viable target audience than the average consumer? Investing in finding the answers to these questions leaves little margin for operational excesses. Even as carmakers consider lighter, cutting-edge materials for their next-gen vehicles, the price of steel still dictates operational costs within the industry. So what do economists today see in steel's future? "Today's cars, no matter how revolutionary, are still about half steel." A departure from 2016's low figures, steel prices are projected to increase in 2017, perhaps dramatically so, according to reports by Metal Miner. Over the next 12 months, China, the world's biggest steel fabricator, will double down on its environmental sustainability and target pollution created by its coal-burning steel mills. In the past, similar reforms have driven steel prices up since mills will spend more money on compliance and reduce their capacity. Just how much could an upswing in steel prices affect automakers around the world? Market Realist estimates more than one-fifth of an average car manufacturer's operational costs are contingent upon this metal. After all, today's cars, no matter how revolutionary, are still about half steel. Moreover, this particular material has a history of fluctuating in price wildly year over year. A steep increase in 2017 could push the automotive industry to dig deeper than in the recent past. We're still years, maybe decades away from printable cars on demand. But 2017 may be the year automakers dip a proverbial toe into the pool of 3-D printing to bring about an age of unprecedented industrial customization. 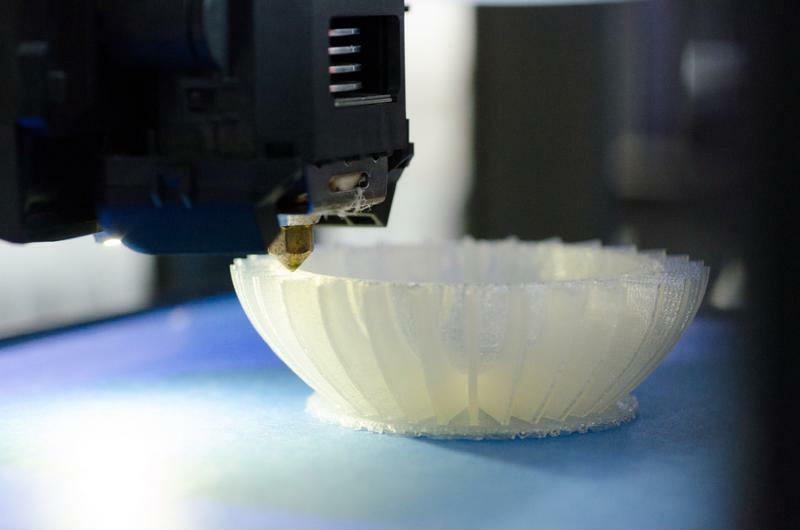 Although still a nascent technology, 3-D printing is turning heads in the automotive industry. According to Technavio, many industry leaders already possess computer-aided design technology as insurance against short product life cycles and defective, non-compliant components. 3-D printing integrates well with CAD and opens a world of possibility not only for automotive engineers, but consumers as well. If automotive manufacturers can combine CAD with 3-D printing, either on-site or through a third party, they can effectively redefine what "custom package" means. Imagine: Carbuyers shopping online will someday have the power to decide the shape, color, and base material of their dashboards, seats and perhaps even major components like headlights. Their selections will then print automatically at an assembly plant. Forget choosing whether or not to have a moon roof or heated seats - consumers can build the vehicles of their dreams, and the automotive industry will profit accordingly. But for automakers to fully realize this new revenue stream and business model, they will have to invest on the ground floor. 2017 will almost certainly be the year we see big names in vehicle manufacture take the plunge. So how does tape play into the future of automotive? The right pressure-sensitive adhesive products for interior and assembly protection, such as ProtectRite and AutoWrap, can offer an incredible value proposition for automakers at a low cost, even at times of great industry upheaval. Protective films and other custom-made PSA automotive tapes preserve vehicle integrity, and as materials and methods evolve, so too can the tape products used to keep cars looking stunning and operational budgets in the black. For more information on ProtectRite, AutoWrap or our other automotive tape products, contact a ABI representative today.